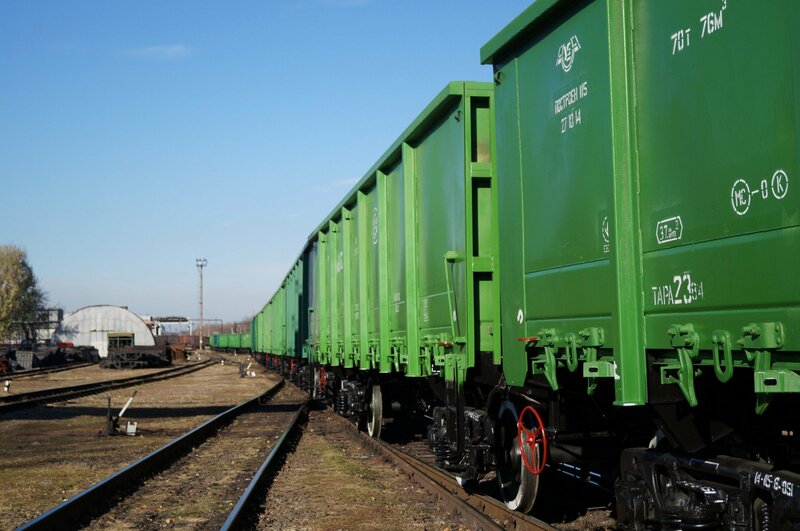 Ukrainian business associations representing the country’s largest freight-dispatching enterprises have presented their plan to prevent a collapse in the area of freight transportation to the Cabinet of Ministers. The president of the Ukrmetalurgprom Oleksandr Kalenkov said this while commenting on the meeting between the Ukrzaliznytsya task force and representatives of companies involved in freight transportation for MinProm, 112.ua reports. According to Kalenkov, the relevant document has been submitted by industry associations for the consideration of the First Deputy Prime Minister Stepan Kubiv and Deputy Prime Minister Volodymyr Kistion. The main issue in the current crisis situation with rail transportation, wherein Ukrainian producers are not able to dispatch readymade products to their consumers, is caused by the lack of locomotive traction of the state monopoly PAO Ukrzaliznytsya, Kalenkov explained. This is why Ukrainian businesses are requesting the Cabinet to temporarily halt the transit of Russian freight through Ukraine. Such measure would allow a 10% increase in the crossing capacity of Ukrainian railroads at Western border crossings, the president of Ukrmetalurgprom pointed out. He also noted that the shortage of traction is the result of a high degree of exhaustion of the locomotive supply, which is estimated at as high as 95%. This is why a large fraction of diesel-electric and electric locomotives are permanently undergoing repairs – which takes longer than it should due to the difficult contest procedures and the abuse by participants, who are delaying contests by many months. This is why businesses have decided to support the idea of Ukrzaliznytsya, which allows the state-owned corporation to obtain a permission from the Cabinet to procure parts for its locomotives from domestic manufacturers without contest. “A Cabinet decision is required for that”, - Kalenkov said. Ukrainian corporations also suggested the Cabinet examines the possibility of leasing locomotive traction in other CIS nations or Baltic states, as well as from other private firms – until the situation in railroad freight transportation is resolved. “Those are substantial measures that would allow to alleviate the issue with locomotive traction and to remove the state of emergency we are currently seeing with freight dispatch on railroads”, - Kalenkov said. He also reminded that Ukraine’s manufacturers are facing serious losses due to Ukrzaliznytsya’s inability to ensure prompt freight shipments to counteragents overseas. Just the iron-ore enterprises of Ukraine alone will receive at least $100 million less than planned in August. "As long as this is the case, there can be no serious talk of freight fare increase – for example through the unification of tariffs on empty carriages that Ukrzaliznytsya appears to be so fond of right now", - the president of Ukrmetalurgprom summed up.